In response to the many people around the world who aren’t able to attend Pride parades because of social stigma or laws discriminating against gays, Google put together a virtual mashup of the event from cities around the globe for anyone to experience. Google posted a 360° film on YouTube Thursday, which allows you to explore the parades by clicking and dragging your mouse around the screen. And for a more immersive glimpse into the celebration, viewers can experience the parade in virtual reality through Google Cardboard or other headsets like the Oculus Rift. 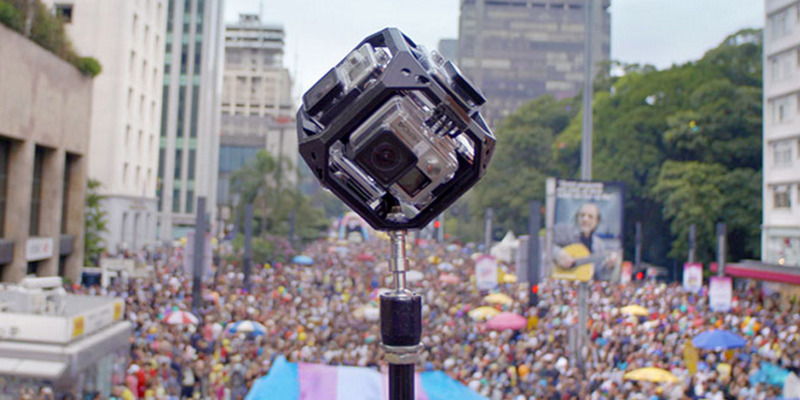 Gay and lesbian Google employees attended and filmed Pride in 25 countries around the world to capture the footage and allow others to march along virtually.